Watch game four of the conference semifinals online, where the St. Louis Blues take on the Los Angeles Kings. 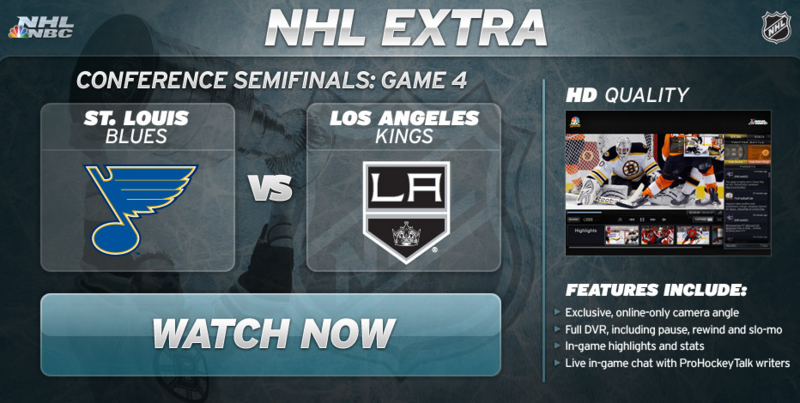 The game will be boradcasted live in HD today, courtesy of NHL.com. This game is do or die for the St. Louis Blues, who have lost all three of their games against the Kings thus far. The Blues will have to win the next four of the remaining games in the series to progress in the Stanley Cup Playoffs. Click here to watch the St. Louis Blues vs. Los Angeles Kings Free Online.